He began performing guitar at age 16 and at age 17 began to play the bass guitar and then started the academic study of music education, Cello and piano at age 18 at Faculty of Music Education (Helwan University – Cairo). He quickly moved from playing Arabic pop music to blues, jazz and classical music. His study at the F.M.E. caused him to explore all types of music besides music theory as a bass guitar as well as cello player then as student to explore the world of composition from the second year of his studying there. He wrote his first string quartet at age 19 and the first violin sonata at the age of 20. During his study at F.M.E., he created his career as bassist and performed with many jazz formations in Cairo as well as several Egyptian pop singers, at the same time he was also active as cellist with some Arabic music orchestras and ensembles. In the year 1998, Mr. HALAKA won the second prize of composition and his first composition prize from the F.M.E. competition. In the year, 1999 participated as choir singer “Tenor” to the Cairo Opera house and was one of the founders of a new opera choir ensemble that called “Acapella Choir”, later and currently is the main choir ensemble of the Cairo Symphonic Orchestra. In 2002, Mr. HALAKA obtained his first Bachelor degree in Music Education for Cello and Piano from the Faculty of Music Education (Helwan University) in Cairo, Egypt. In 2003, his Egyptian Suit for Cello and Piano won the best Composition Prize (Divided on a three candidates) from the Committee of Music, Opera and Ballet in Cairo. Afterwards, he joined the Cairo Conservatoire (Department of Composition and Conducting), where he graduated with distinction. At the conservatoire had a chance to be the student of the best Professors of music theory and composition in the Middle East like, Ahmed El-Saedi, Awatif Abdel-Kareem, Rageh Daoud, Ali Osman, Mohamed Abdelwahab Abdelfattah, Mauna Ghoneim and Layla El-Sayyad. During his study at the Cairo Conservatoire, he participated in the Global-Interplay by „Musik der Jahrhunderte” symposiums, lectures, workshops and concert program as part of the Egyptian team under mentoring of Amr Okba for Artistic Creation (contemporary music and Composition) partly in Cairo and partly in Berlin and Stuttgart. This program allowed him to spend one year and a half in the cultural contact with musicians, composers from Germany, Switzerland, Israel, Canada, China, America and Ghana. This chance, which fosters the Egyptian-German cultural exchange, provided him with the opportunity to be acquainted with the European culture. Through this Global-Interplay, he attended composition workshops with Amr Okba (Egypt-Austria), Professor Walter Zimmermann (Germany), and Oliver Schneller (Germany). Bassam Halaka honors include Jury Prize 2005 and the best Composition Prize 2007 from the Committee of Music, Opera and Ballet in Cairo as well as Jamal Abdel Rahim Composition prize for his three songs for children Choir from the Egyptian Youth Society. The Arab Perspectives Festival of the Cairo Symphonic Orchestra ensured some important issues in his live through performing a wide-ranging spectrum of his solo, duet, ensemble until symphonic works of him subsequently from 2003 to 2009. Also through this period, he conducted numerous Contemporary chamber music concerts on the small hall in Cairo Opera House. 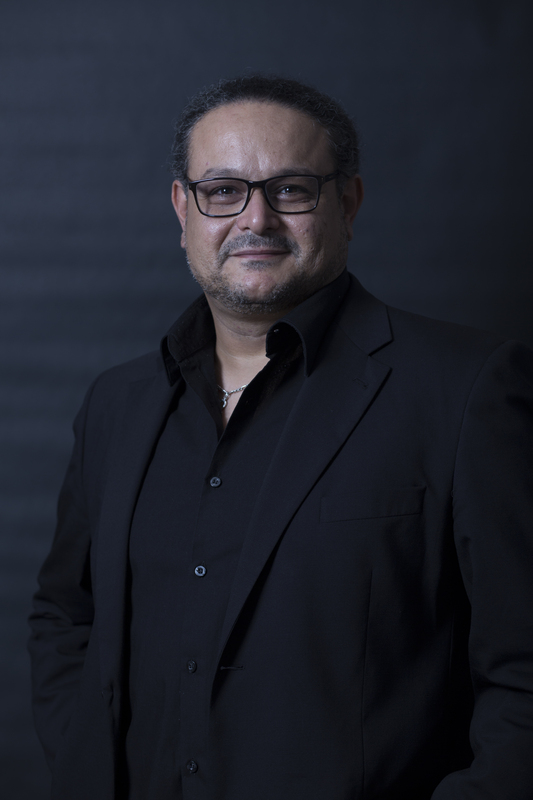 From 2006 to 2009, Bassam stood as Executive Manager, Assistant Conductor, Projects Co-Operator, Electronic supporter and Performer for the Egyptian Philharmonic Society and their Chamber Philharmonic Orchestra with the well-known Conductor Ahmed El-Saedi. In 2005, he commissioned to write “The Lonely one on the other side of story – for Strings Orchestra” for the CD Audio production “Works for strings orchestra” from the Bibliotheca Alexandrina Chamber Orchestra, likewise this composition had a part of the entitled “Modern Egyptian Compositions” concert on the occasion of the fifth Anniversary of the BA Chamber Orchestra. The co-operation with the Bibliotheca Alexandrina invited him several times as a choirmaster for the World-Celebrating Choir to perform Mozart’s Requiem in their tour in Egypt (Bibliotheca Alexandrina and American University in Cairo). Among 2006 to 2009, Bassam also worked as Lecturer, assistant for professors before his graduation at Cairo Conservatoire, such as; he thought Harmony, General-Bass, Score reading and Counterpoint as assistant to Professor Dr. Ahmed El-Saedi, as well as Music forms and analysis with Prof. Dr. Layla El-Sayyad. He was also a teacher of Ear-Training. In 2008, Halaka as Ensemble Conductor specialist in the Modern art of music; founded the “Cairo Ensemble for Contemporary Music” to be the first attempt in the Contemporary Music scene in Middle East. In 2008, the only selected composer (from 4) to participate in the Eu-Art-Network Symposium “Dialogue”. In 2009, Bassam moved to Austria and obtained a masters study in Josef Haydn Konservatorium in Eisenstadt , which allowed him to start his musical, Study and work career in Austria and Europe. In Austria 2009, he started created the score of the contemporary opera “RES” by Maria Gabriella Zen (ITA) (in cooperation with the Institute for Opera and Poetry “Verona-Italy”, International Yehudi Menuhin Foundation “Brussels – Belgium”, eu-art-network “Burgenland – Austria”), development of Programming “Graphics-to-MIDI” Implementing Graphical Notation into MIDI data and audio playback performance. in 2009, he was a part of Eu-Art-Network Symposium in the celebrity of Linz-Austria as Culture Capital City in Europe, his responsibilities was as Electronic media Supporter, Composer and Performer in many Concerts.